Social Stats Checker is a very helpful SEO tool developed byfhttp://freeseotool.org. What this tool does is to figure out how much strong your social presence is. The statistics of your social media provided by this tool helps to find how many social signals you have got. All you need to is enter your site's URL into the box, and our free tool will provide you a complete detail of social signals displayed in a neat way. Some online marketers are also using FreeSeoTool Social Stats Checker tool, to check whether they got social signals from after buying paid services or not. Like many people offer social signals for as low as $5 on Fiverr, now after buying that service, how would you get to know that whether you have got social signals or not? You can use our tool for this stuff too! 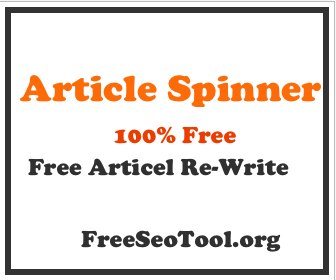 Free Seo Tool Social Stats Checker is a fast and reliable tool which don't need any signup or registration. It can run on almost every browser and provides 100% accurate results in no time. It's a free SEO tool that will help you analyze your social stats, and you will get to know which social channels are working well for you and which ones aren't working.